Clare Grant » Clare stars in Elisabeth Caren’s new fine art series “Double Identity”. Clare stars in Elisabeth Caren’s new fine art series “Double Identity”. From ELISABETH CAREN’S #DOUBLEIDENTITY fineart photography series. Starring CLARE GRANT as the #femmefatale and AKETZA LOPEZ. From ELISABETH CAREN’S #DOUBLEIDENTITY fineart photography series. Starring starring CLARE GRANT as the #femmefatal and TARYN ONEILL as the leading female character in the #filmnoir genre. Women usually fell into two characters: the femme fatale, who uses her sexual attractiveness and ruthless cunning to manipulate men in order to gain power and independence, and the conventional devoted wife and loving mother typically portrayed as dull and who has no autonomy, a role that the femme fatale rejects. These were exacting roles in the medium and society with no allowance for any other sexual preference or desire, even though in reality there were a multitude of differing sexual relationships occurring. From ELISABETH CAREN’S #DOUBLEIDENTITY fineart photography series. 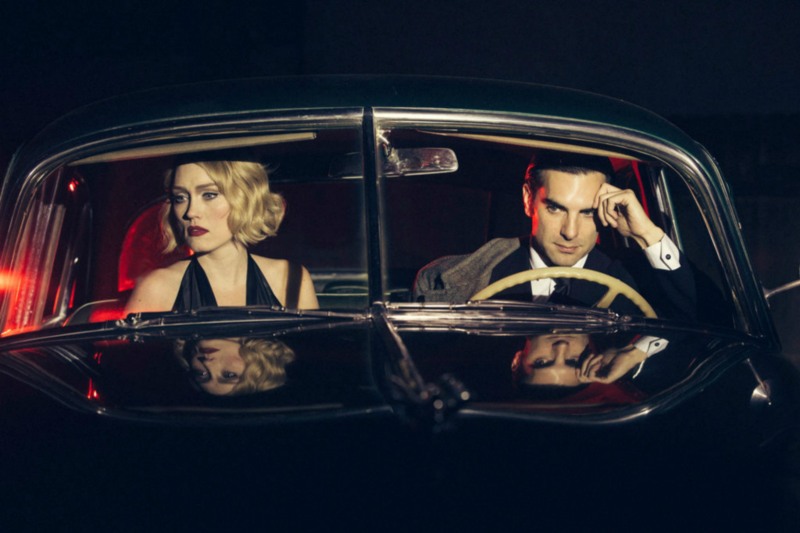 Starring CLARE GRANT as the #femmefatale with references to classic #FilmNoir titles of the 1940s.